If you are interested in becoming a TableCrowd partner to #MeetandEat with our community, then please get in touch at hello@tablecrowd.com. Entrepreneurial Spark powered by Natwest supports up and coming entrepreneurs, providing a range of free services including office space, IT, specialised mentors and networking opportunities. Rackspace is the global leader in hybrid cloud and founder of OpenStack, the open-source operating system for the cloud. They have delivered enterprise-level hosting services to businesses of all sizes and kinds around the world since 1998 and have grown to serve more than 205,000 customers. They have a startup program which supports startups through discounts and promotions, mentoring, networking and brainstorming, developer tools and cloud architectural planning. Upwork is the world’s largest freelance talent marketplace, where businesses can connect with talent faster than ever before. We connect the time and skills of 10 million people with over 4 million businesses. Any work that can be done on a computer can be done on Upwork. We offer access to freelancers covering over 2,700 skills. Taylor Wessing is a full-service international law firm, working with clients in the world’s most dynamic industries. They take a single-minded approach to advising our clients, helping them succeed by thinking innovatively about their business issues. They have a strong tech focus and a TechCity office which supports London startups. Alma CG is an independent, innovative R&D Tax relief expert and has been working at the forefront of UK Tax Relief schemes for 8 years. They can help to optimise your innovation financing, applying our specialist expertise and unique in-depth knowledge of R&D and tax relief. Globally Alma Consulting Group has over 25 years’ experience in the R&D tax relief field, working across legislation of 15 countries, with offices in 9 countries. 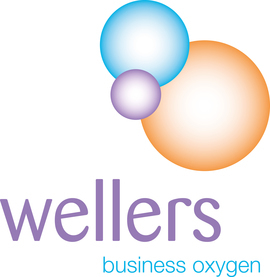 Wellers is a firm of business advisors and accountants who work with tech entrepreneurs, delivering quality advice and professional solutions that help them fulfil their aspirations. Passionate about supporting people and their organisations, we can draw upon 70 years experience to assist you in growing your businesses and protecting your wealth. Our approach is to partner with you becoming integral to your operations, delivering strategic planning, accounting and tax advice that addresses the specific issues you face. This blend of skills and knowledge brings focussed commercial insight to our relationships, driving growth and profitability. It's something our clients refer to as "Business Oxygen". Founded in 2010, GetTaxi is a leader in the international transport on-demand space. GetTaxi is disrupting the taxis markets of Europe & US. Available in 24 cities, including: New York, London, Moscow and across Israel. GetTaxi combines has, 24-hour live customer care, immediate and advanced booking, predictable and flat pricing with no surge. The Institute of Directors has been supporting businesses and the people who run them since 1903. As the UK’s longest running organisation for professional leaders, they are dedicated to supporting their members, encouraging entrepreneurial activity and promoting responsible business practice for the benefit of the business community and society as a whole. They are an award-winning recruitment consultancy supporting marketing, advertising, creative and technology in the digital world. They have a consultative approach to permanent, contract and executive search services, and believe that the digital industry is dependent entirely on the professionals that work within it. Their skills, their imagination and their insight are what makes the UK digital landscape the most exciting in the world.